The web enables previously unthinkable reach, targeting, and economies of scale—and scammers have noticed. Online brand abuse – from fraud to counterfeiting – is more widespread, sophisticated, and lucrative than ever. Despite these growing threats, many brands remain unaware of the scope of online brand abuse. Fewer still have honestly addressed the scale of impact these losses pose to their businesses. Most protection models fail to identify the source of an infringement problem prior to launching an anti-counterfeiting plan. 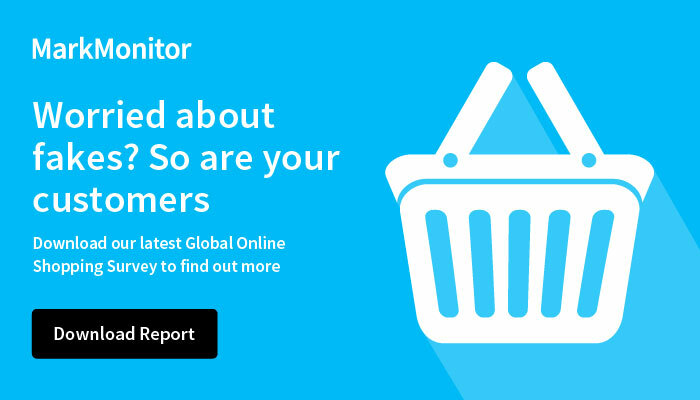 MarkMonitor has taken a unique approach that mirrors your consumer’s online journey so you know what results show up when your brand name gets searched. By employing the latest in geo-targeting, visible listing searches and marketplace monitoring – with results based on your customer’s location – you can you can take down offenders faster, and even in bulk. This means exponential recoveries of both revenues and your reputation. The online world is always evolving—with changing technology, emerging marketplaces and the Dark Web providing new opportunities for brand saboteurs. Whether hijacking search engines, squatting on branded domains, or infiltrating social media, the modern fraudster uses coordinated, multi-channel tactics to cause tangible harm. An effective digital brand protection strategy allows you to recapture revenue, enjoy direct cost savings and safeguard your marketing investments. Ensuring authentic brand experiences has the added benefit of solidifying brand reputation while reducing instances of online fraud and unauthorized channels. In a world filled with intentional and accidental brand saboteurs, companies need to aggressively play defense as well as offense.